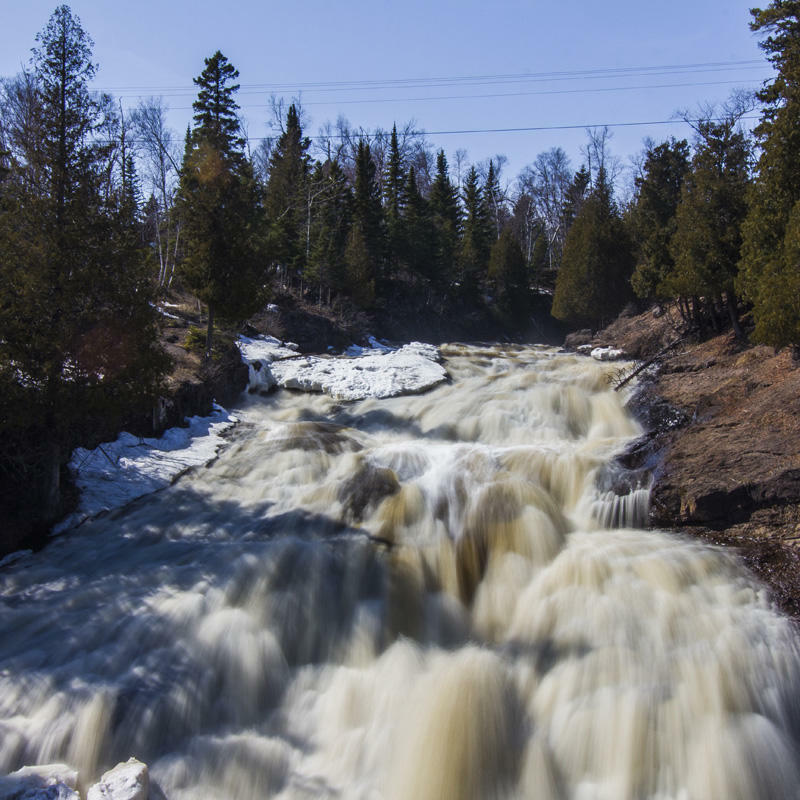 A short and easy hike from the Caribou Highlands Lodge in Lutsen, Minnesota are the bustling Poplar River Falls, which are surrounded by a lush green forest. In addition to these falls, there is another waterfall not too far away on the same river. Stop by the Onion River Falls to climb the steps and walk along the river to view the falls by the river mouth. The legend is that the Onion River was created when Paul Bunyan shed tears while cutting wild onions that grew in the woods nearby. Today, visitors can take the trail from the Ray Berglund Memorial Wayside, which is right off of Highway 61 between Tofte and Lutsen. This majestic area will have you wanting to come back again. 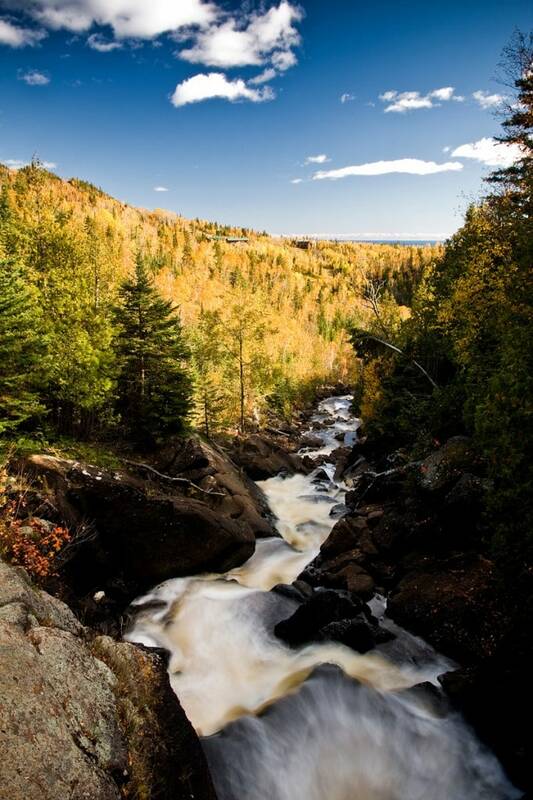 The Temperance River State Park has a hiking trail that loops around the falls. This 10 to 15 drop river gorge is a stunning stop along the North Shore. It is said that the Temperance River got its name because it use to flow so deeply that it washed out debris when flowing into Lake Superior. This park allows you to get a full day of waterfall watching in due to the amount of waterfalls that it has within its gorge. Cascade Falls suddenly begins ten miles above Highway 61 and then flows into Lake Superior. To hike both sides of the Cascade River, park at the river mouth and follow the trail signs. This amazing stop will leave you in awe. Highway 61 makes it easy for visitors to experience the Cross River Falls by allowing them to view the falls right from the road. And although you can see them by driving past, stop and take advantage of the pedestrian bridges to stand above the falls as they flow down below to make their final drop on the south side of the bridge.